We can't keep the snow from falling, but we can minimize its effects. Snow removal is a dirty business. Large snow removal companies generally run it as an emergency response service. That means, they focus on clearing snow after it has accumulated. This reactive approach to snow removal negatively affects our environment. It leads to dumping lots of rock salt and other environmentally damaging materials on top of snow and ice build-up just to get rid of the snow. In Chicago, we know winter snow and ice are inevitable. That's why we approach snow removal safely by pre-treating surfaces before it snows and using eco-friendly ice melt that's 100% safe for you and your pets. When we pre-treat surfaces, our goal is to lighten our footprint, and yours. We pre-treat surfaces frequently, but use less material each time. By applying the ice melt in this way, we avoid dumping a lot of salt on surfaces, thus avoiding adversely impacting your plants. Plus, frequent ice melt prevents snow from building up on driveways, sidewalks and steps, making it safer for you. We offer three snow removal service packages, helping you find the solution that makes the most sense for you and your property. We can take care of your snow removal needs if you live in the Chicagoland area, including these suburbs: Deerfield, Evanston, Glencoe, Glenview, Highland Park, Highwood, Kenilworth, Lincolnwood, Morton Grove, Northbrook, Northfield, Skokie, Wilmette, Winnetka, and Lake Forest. When ice is in the forecast but not heavy snow, we will automatically service your property with eco-friendly ice melt to clear or prevent icy conditions. The ice melt we use is the only ice melt cleared for use around LEED certified buildings, making it safe for people, pets, and the environment. We conscientiously clear walkways, sidewalks, stairways, stoops, driveways, alleyways, and parking lots. We service residential as well as commercial properties. 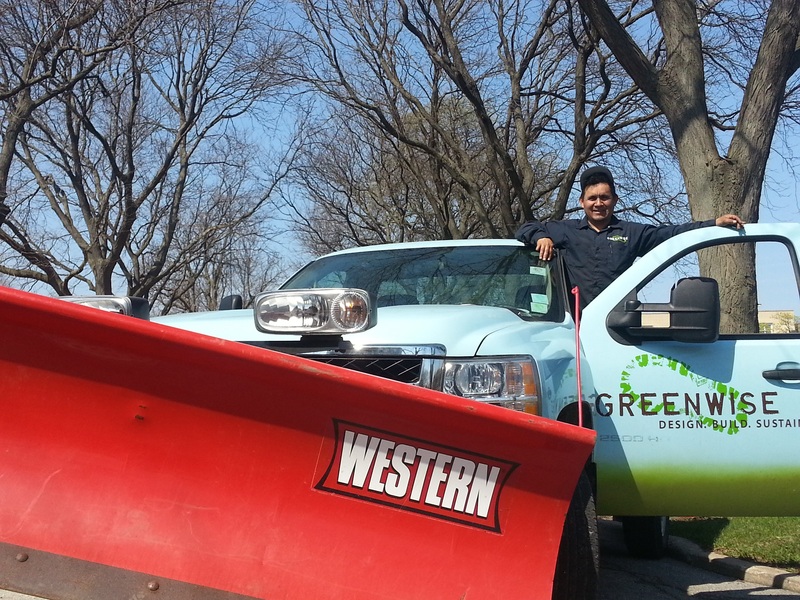 We are committed to providing the best snow removal services in the Chicagoland area with our eco-friendly solutions.